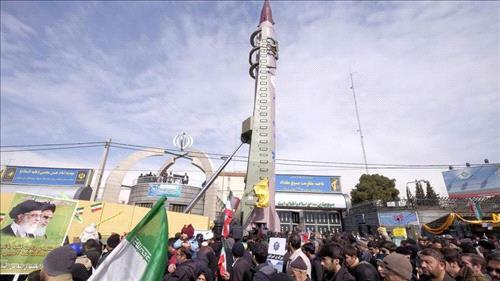 AMMONNEWS - Iran dismissed on Tuesday the European Union’s unease about its missile program and rights abuses, calling it “non-constructive”, as Europe seeks to shield Iran from US sanctions while containing its regional policies. The EU said on Monday it was gravely concerned by Iran’s ballistic missile tests and called on it to stop activity that deepened mistrust and destabilized the region. US President Donald Trump pulled out of last May. Last week, Britain, France and Germany launched a system to facilitate non-dollar trade with Iran and avoid US sanctions. Iran’s foreign ministry rejected the warning. “Raising such baseless and hollow accusations while known terrorist and criminal groups are free in Europe, is non-constructive at this stage, and is in line with the goals of enemies who seek to undermine Iran’s relations with Europe,” it said. The ministry welcomed the new channel for non-dollar trade, known as the Instrument In Support Of Trade Exchanges (INSTEX), but called it “late and inadequate”. Iran warned that it would revise relations with Europe if it did not benefit economically from INSTEX.